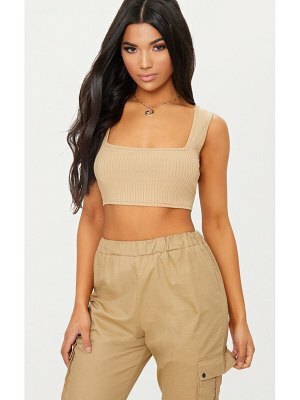 Top by Daisy Street, Ribbed stretch knit, Square neckline, Cami straps, Button placket, Cropped length, Regular fit - true to size, Machine wash, 95% Polyester, 5% Elastane, Our model wears a UK S/EU S/US XS. If you like your trends as fast as they come then Daisy Street is the label for you. Always up on their A-game, Daisy Street's collection of crop tops, body-conscious midis and pleated mini skirts bring an added edge to your wardrobe.